The Opening Ceremonies for the 2012 London Olympic Games are just a week away. Families all over the world will sit down to watch them together, but the Ceremonies are more than just a cool show; they represent unity, excellence, national pride and so much more. It's hard to put into words what they meant to me as an athlete. How will you explain them to your child? My fellow athletes and I moved en mass toward the Olympic stadium where the Opening Ceremonies at the 2000 Olympic Games in Sydney, Australia were underway. Groups of spectators cheered us along the way. Someone started chanting U.S.A., and a few athletes joined in. Soon everyone joined in, and when we entered the tunnel leading into the stadium, it echoed off the walls. As the excitement built, the chanting got louder and louder: U.S.A.! U.S.A.! U.S.A.! The stadium opened up in front of us, and as we emerged, 100,000 flash bulbs went off simultaneously. High in front of us the American flag led the way. My eyes filled with tears; I choked up and had to stop chanting. For a brief moment it seemed like everyone else had stopped too. In that second we were no longer the U.S. cycling team or U.S. gymnastics team; we were the 2000 United States Olympic Team. I will never forget the feeling. My three- and five-year-old know that I was an Olympic athlete. They say they want to go to the Olympic some day, too. I've told them my story about the Opening Ceremonies and it's cute to watch them run around chanting U.S.A, U.S.A. But they really have no clue what the Olympic are. While your children may enjoy watching the competition on television, the Olympics are a rather abstract thing to explain to a young child. But there are plenty of ways to help make the Olympics come to life for your child, starting with Opening Ceremonies; the place where the magic begins. The best place to start is at www.olympic.org. The International Olympic Committee has an interactive map highlighting all of the countries participating and athletes from all over the world. Look at the map closely with your child. You can take the time to do a mini geography lesson. Show your child the different continents. Zoom in and let them look at the different flags. 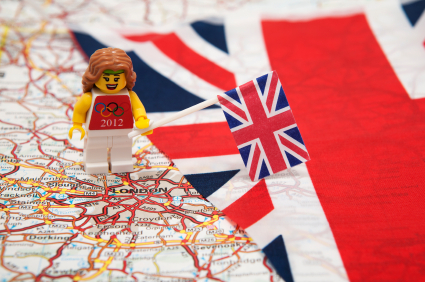 Let your child pick a few countries to click on, and take time to explore their Olympic page. Have your child pick several of their favorite flags and then draw them (make sure that one of the flags they draw is our U.S. flag!). Have him pick his favorite foreign flag and learn a bit more about it and the country. He can do some research online or at the library and find five interesting facts about the country. Have him write them on the back of the flag that he made. Next visit the United States Olympic Committee's website at www.teamusa.org. Have your child pick out their favorite Olympic sport. Have him look at the list of athletes who qualified for the United States team in that event and let him pick out his favorites. The sport will be more fun to watch if your child has someone to cheer for. It's hard for many adults, let alone children, to understand the hard work, perseverance, dedication, determination, sacrifice, discipline and passion athletes must have to pour themselves into a sport for four plus years in order to earn the chance to compete on the world stage in an event that may only last a few seconds. In order to truly appreciate what the athletes go through your child needs to read about the time and training they put in. Help your child look up his favorite athletes online and read up about them. Your child will learn a bit about how hard the athletes had to work, the path they took and the sacrifices they made to make the Olympic team. Look at the list of sports contested at the Olympics. Have your child pick one with which they aren't familiar. Learn about it together and find out when coverage of the event will be aired during the Olympics. Plan to watch it with your child. To make the viewing experience more interesting, look up the athletes who will be competing and have your child pick a few favorites. Your child can look them up online to learn more if he would like. These activities are fun and educational and should help your child get a better understanding of the competitions they are watching on television! Erin Mirabella is a two-time Olympic track cyclist, mother, MomsTeam's track cycling expert, and children's book author. Her books, Shawn Sheep The Soccer Star and Gracie Goat's Big Bike Race are available online at amazon.com, barnesandnoble.com, borders.com, velogear.com, and at The Olympic Training Centers and select stores. For more information visit Erin's website.